NEW COLLECTOR COIN BY BANK OF LUXEMBOURG MARKS SINGLE BIGGEST PURCHASE OF FAIRTRADE GOLD. 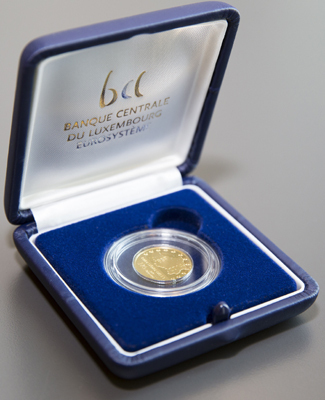 Fairtrade International is delighted by the launch of a new collector coin by Fairtrade Lëtzebuerg which was commissioned by the Banque central de Luxembourg to celebrate the 175th anniversary of Luxembourg’s independence. The move amounts to 2,500 gold coins and represents the single biggest purchase of Fairtrade gold. The coins carry both the Fairtrade and the Fairmined labels. 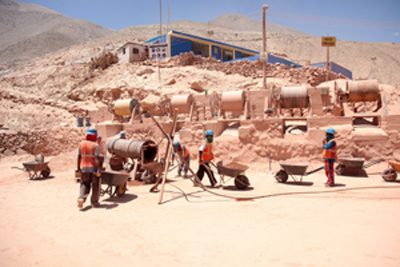 To make the coins, smallscale artisanal miners from Aurelsa and Sotrami in Peru had to produce a significant 15 kilos of gold certified on Fairtrade terms. As well as the fair price the miners were paid, the organisations received a development premium of €34,000 that will be used for carrying out social projects. Fairtrade gold was first introduced to the Luxembourg market in 2012 with seven participating jewellers. Fairtrade gold is also available in other Fairtrade markets including Australia, Belgium, Canada, Denmark, Netherlands, Norway, South Korea, Sweden and the UK, with other markets soon to follow including the USA and Switzerland. Harriet Lamb, Chief Executive of Fairtrade International said: “We congratulate the Banque central du Luxembourg on the largest single purchase of Fairtrade gold. This collector coin is more than a symbol of independence – it is supporting the miners and communities of Peru to gain independence from poverty.